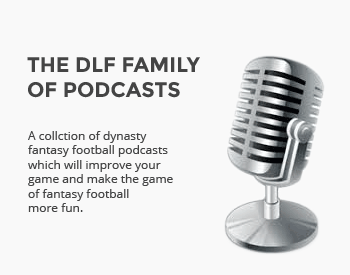 The DLF RV makes its final training camp stop as we hit the go button on the preseason games. With the Summer Sleeper series at its conclusion and the preseason underway, it’s time to review what we’ve learned since the beginning of camp and take a closer look at position battles, emerging players or roster surprises. With that in mind, we’re going to fire up the DLF RV and go division-by-division with some news and notes. 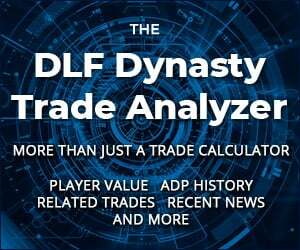 While we won’t mention every single player (we have our player news feed for important news), we’ll take some time to run down some important dynasty information for each team. If you have a question on a particular player, ask below and I’ll do my best to answer it as well. If you missed a previous report, just click on it below. We continue with the AFC West. As I’ve been writing these, I’ve realized there are only a select few quarterback battles out there in training camp this year. The Jets certainly feature one of those as Josh McCown is attempting to hold off future starter Sam Darnold. So far, McCown has reportedly been on his game and clearly the best quarterback in camp. Still, I just can’t imagine the Jets holding Darnold back for too long. The preseason will go a long way in determining just how fast he makes the leap to starter. Meanwhile, Teddy Bridgewater is likely auditioning for another team this preseason and is a likely trade candidate. Great job on these Ken. That was a lot of content in a short period of time. Thanks for the reads. Was good to see a few of the deep names making noise for those of us searching the depths for deep league rosters. Love this series. A lot of info and questions addressed in short reads! Two thumbs up!! Outstanding! This is why I keep coming back to DLF year after year!